Symbiotics Custom software development services have evolved over our 22-year development journey – a journey designed to assist other companies to grow. As early adopters of the Java development platform, we have allowed many blue chip companies to turn their business challenges, ideas and requirements into viable solutions, making them more competitive and increasing their bottom line. 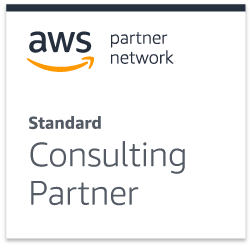 Our steadfast belief in constant innovation enabled us to become one of the first appointed Amazon Web Service Consulting partners, making our offering even more complete and robust than ever before. At Symbiotics, we work closely with you to develop, maintain and grow your concept into a reality, at affordable rates. As a result of this, we were one of the first appointed Amazon Web Service Consulting partners, making our offering even more complete and robust than ever before. integrating existing solutions to build a solution from a set of requirements. delivering custom solutions across a range of industry sectors. user experience is a key focus. software engineering excellence and iterative development with agile methodologies. Java/Open Source technology stacks in combination with our skills and assets. practices to deliver a solution that promotes your business’ competitive advantage. As more and more companies realise that not all software systems are created equal, so the demand for custom development is increasing. The build vs. buy decision comes out in favour of build for clients intent on differentiating their offering from that of their competitors. It doesn’t end here. We also host applications in a secure and reliable environment and provide ongoing support so that you continue to have peace of mind. Let us take care of the system security, server updates, backups and other system administration functions while you focus on growing your company. Product quality is in our DNA . It’s more than just words – we are prepared to contract for quality.